A migration consultant who is registered with MARA is required to have appropriate qualifications and are bound by a Code of Conduct that ensures they act in a professional way and in your best interests. 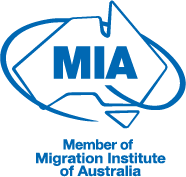 If your migration consultant is not registered with MARA, they are not legally allowed to provide you with advice or assistance with your visa application. You also have no way of knowing if the advice they are giving you is correct or if they are preparing your application correctly. You can see if your migration agent is registered with MARA here. At Pathway Lawyers & Migration Agents, our advisors are registered with MARA and have the skills necessary to effectively deal with all of your migration concerns. If you would like assistance with migrating to Australia contact our experienced advisors. Newer PostWhy should I use a migration agent? Can I do my visa application myself? Older PostIs there a benefit to using an immigration lawyer who is a MARA agent rather than a migration agent?